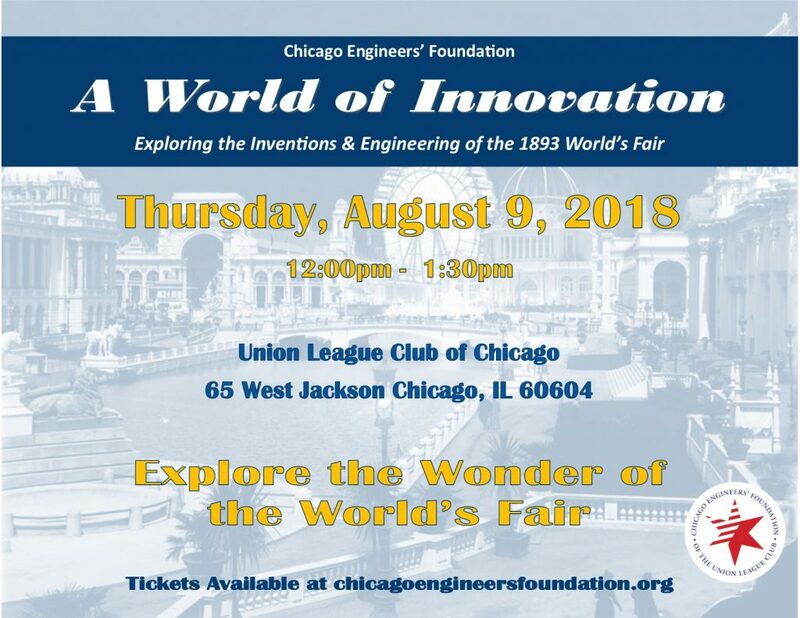 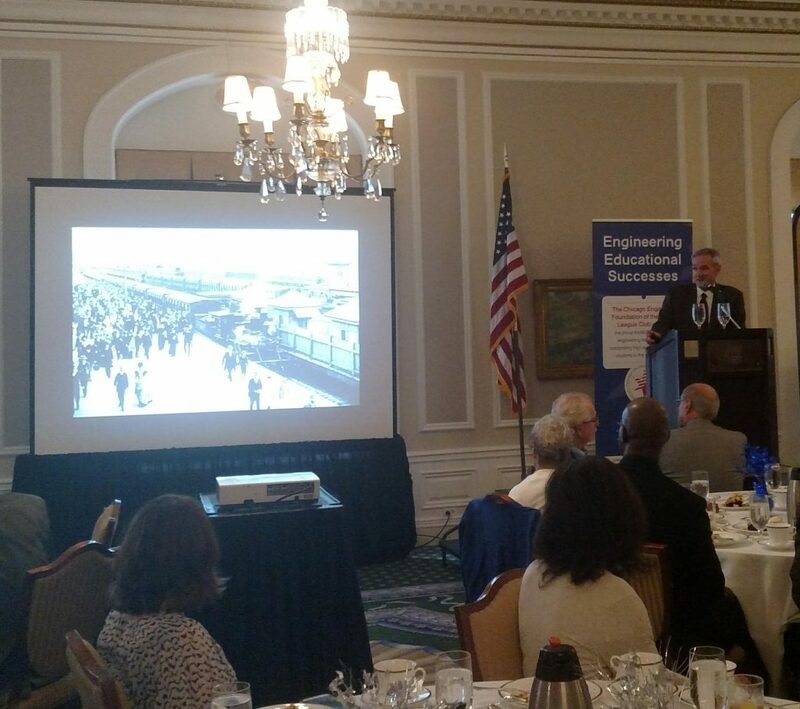 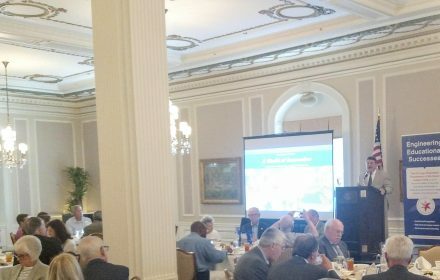 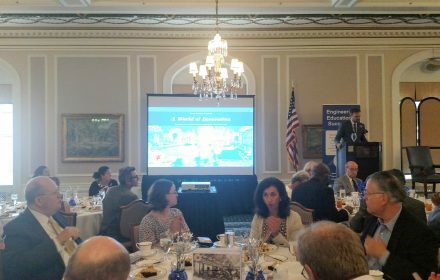 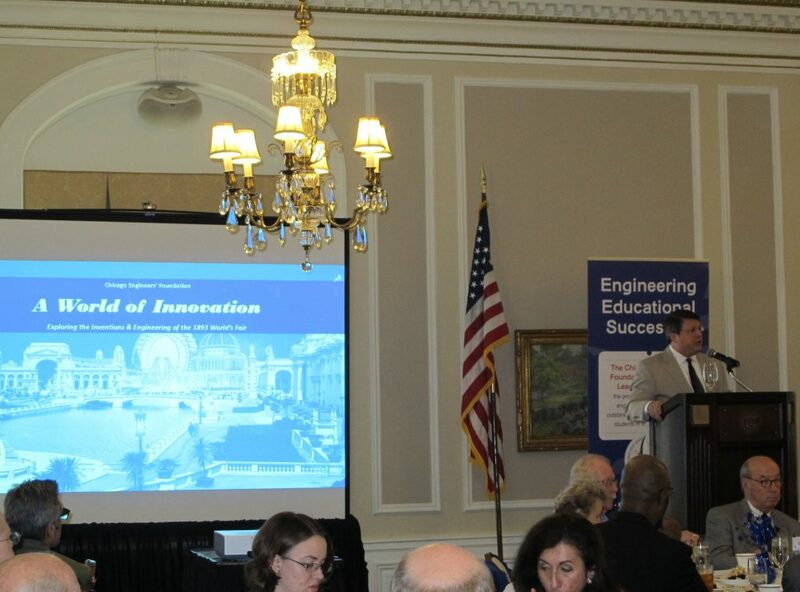 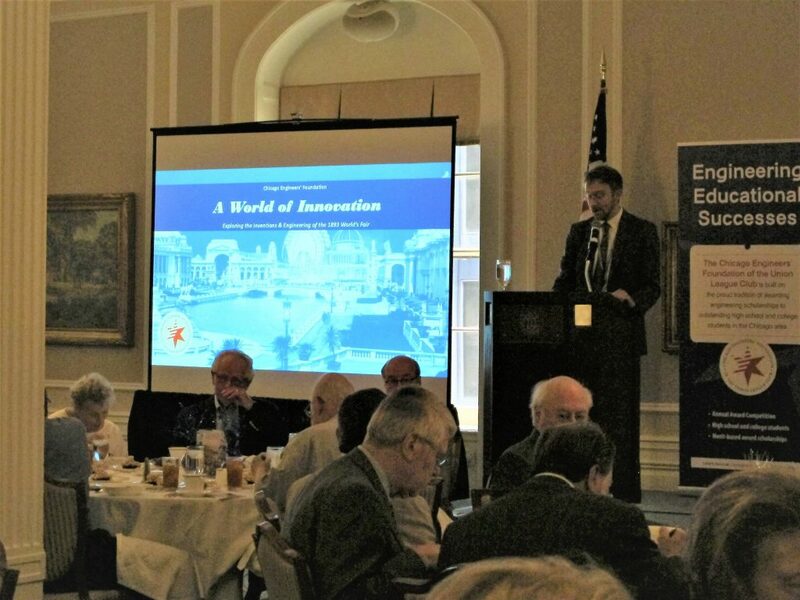 On August 9, 2018, Chicago Engineers’ Foundation hosted A World of Innovation, a luncheon and panel discussion highlighting the inventions and engineering debuted at the 1893 World’s Fair in Chicago. 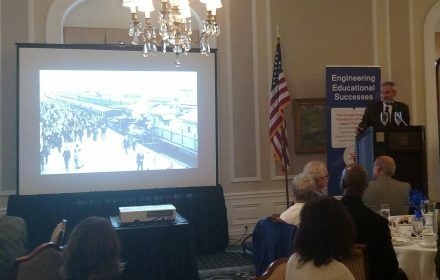 Author and journalist Greg Borzo, Engineer Kevin Griebenow, and Patent Agent Sid Bennett presented an array of information about innovations first presented at the Chicago World’s Fair. 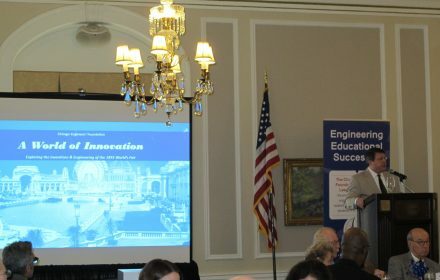 More than 100 guests attended the event. 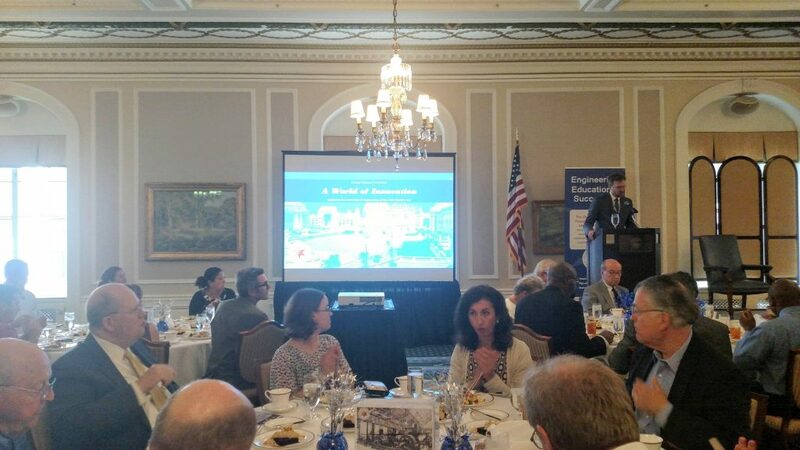 The Union League Club also sponsored an exhibition of their extensive collection of World’s Fair artifacts. 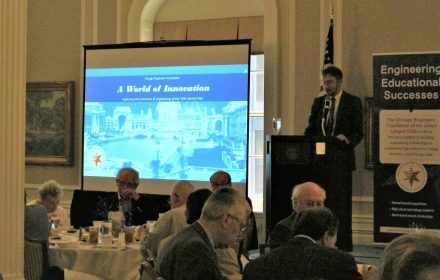 A World of Innovation was presented as part of the Union League Club of Chicago’s 125th anniversary celebration of the Chicago World’s Fair.